To use prepostseo Favicon Generator, Select options given below and click on Favicon.ico Button. Favicon is a small 16 x 16 pixel .ico file that represents logo or first letter of a specific brand. It is a short form of two words “favorite” and “Icon” also called URL icon, tab icon, bookmark icon short icon or website icon. Simply the Best:Create favicon from text or images in five different sizes using favicon generator tool. PNG to ICO:Convert png to ico with just one click in three different sizes 48px, 32px and 16px. Realtime Display:To give you an idea favicon creator will display your icon in real-time. In simple words, it is a small icon used by browsers to provide site identity. Browsers show your website’s favicon in the address bar of a browser and in a list of bookmarks. It helps your readers or users to recognize your brand via graphics. Prepostseo Favicon Generator is the best tool to create a favicon from image, text, and emoji. It is completely free and can make your favourite .ico file in no times. The final image generated by our tool is compatible with all browsers. No hard work : Prepostseo Favicon Creator makes it easy to create ICO icon with the desired dimension, color, and size. No hard work anymore to create a favicon for Microsoft, Android or IOS. Done in 5 minutes : Other online tools can waste your hours to create favicon and may produce poor quality graphics and color icon. But Prepostseo favicon generator takes only a few minutes to make favicon with excellent quality of graphics, color, and accurate size. Attractive design : Prepostseo offers numerous attractive designs for favicon to display on different platforms. You can create a free favicon image as much as you want and each time with a unique and compelling design. Instant preview : No more guesses about the final look of your favicon. Prepostseo gives an instant preview of ICO icon for all the platforms like the Android preview, Apple preview, and Microsoft preview. So now you can come to know in a second how your icon looks like. What does this favicon maker do? This favicon maker converts any JPEG, GIF or PNG to ICO file. This tool can make favicon from a text, image, and emoji. Prepostseo Tool supports 800+ fonts. This large database helps to match the font used on used on your website. You can select three common shapes of background used to generate a favicon; circle square and rounded. Next, select the font design and font size. As you will select the font’s color, size or background, you will also see the preview of a favicon. After selecting your required color, size and background, click download to export it. If you want to generate a favicon from an image then you are at right place. Simply upload the image and click on download buttons. Our tool will convert your image into an ICO file. You can upload any format including JPEG, PNG or GIF. After uploading your image, you can preview your favicon and can select according to your choice from a preview. Finally, click on the download button to export your ICO file. Try to use a square image for the best result. Why do I need an ICO file instead of a JPEG or PNG? 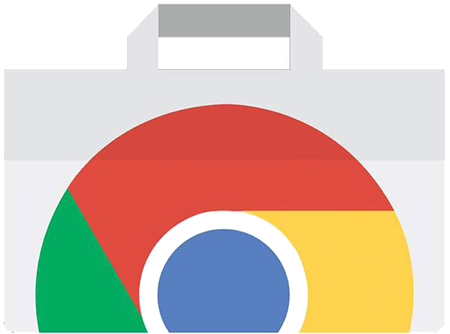 Modern web browsers like Chrome, Firefox and Opera support favicons saved as PNG or GIF format. However, Internet Explorer only supports Microsoft icon format also called ICO file to display the favicon in the address bar of the browser. Although Internet Explorer does not support other formats than ICO, all modern browsers support other file formats including ICO. Favicon is a graphical identification of your site. It helps users to recognize your website while browsing through multiple URLs in history, search results or bookmarked sites. You can lose credibility and trust of a user if your competitor has icon next to his website. This can happen because a web browser displays blank document when there is no image available to show. Users judge the online services and quality depending on how professional your site is. Blank document on your website can easily help your competitor to grow his trust while you will keep losing the credibility in the market. Sometimes, users bookmark the link and decide to visit website later. A graphical icon helps users to access site again easily. Graphics attracts more people rather than a text. A user can skip revisiting if a web browser does not display a favicon next to your site. A quick identification in history, bookmarks, and search can save user’s time. It makes quick for a user to access site. More people remember logo of website, more usability of site is guaranteed. Users prefer to revisit a site which is easily accessible and trustworthy. As the favicon offers more trust and easiness, site’s usage ratio increases undoubtedly. All web browsers come with the facility of site bookmarking for users. Search engines provide search ranking signal to the bookmarked sites on the web. Chrome browser deduct sites without favicon from bookmarked list. Hence, you can lose the opportunity of receiving search ranking signal. Excellent!! First time I got a free favicon generator with the best colors and fonts.